We can also manufacture made to order and custom Coil Springs! *While we maintain an extensive inventory of steel, nickel-based and copper-based materials: We must rely on our wire mill vendors for specific specialty materials to acquire materials for all of our customers' requirements. 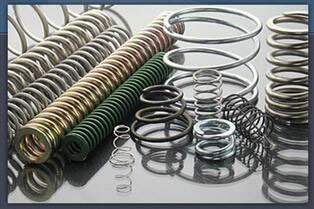 Spring Products is a US spring manufacturer. We have a coiling capacity of 195,000 plus coiled parts per day using the auto-coiling method. Coil springs are made of an elastic material formed into the shape of a helix (Helix is Greek for coil or spiral). 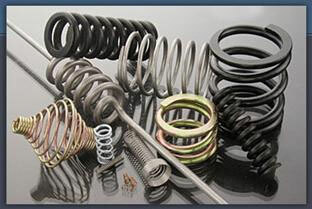 Spring Products has many sizes of coil springs, torsion springs, compression springs and extension springs in stock and available for fast response domestic or international shipping.